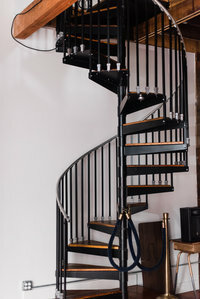 Muse at the Mill Events is a bustling community that includes a restaurant, brewery, glass blowing and even yoga, all nestled in an urban environment. While we do have a limited amount of parking spaces available, we strongly encourage our guests to carpool or uber to events. Still, there are a number of parking options to consider, but be sure to give yourself plenty of time to locate parking and walk to the ceremony location (the walk will be less than a city block). Do you have a preferred vendors list and am I required to use them for my event? 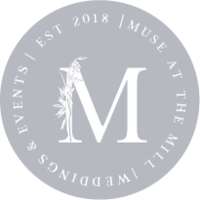 Muse at the Mill Events does provide its clients with a preferred vendors list as a part of its welcome package upon booking. However, you are more than welcome to hire Vendors of your choice. 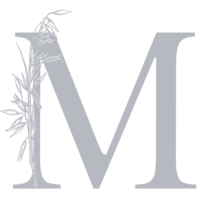 The preferred vendors list is a helpful resource we like to share with you to help you book quality, reputable vendors with confidence as you plan your event. For the safety and comfort of guests, the Venue adheres to building capacity restrictions. For seated events the capacity is limited to 150 guests! Should I Have A Wedding Or Event Planner? 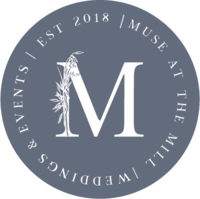 Muse at the Mill Events recommends that you hire a coordinator for events with a guest count of 75 or more. We offer packages that are inclusive of our in-house event coordination and planning services through Starnes & Co. Event Planning, and are more than happy to assist you with the planning of your event. However, you are welcome to use the planner of your choice.